Remember 1987, when Gordon Gekko and his huge brick of a cell phone were lighting up the big screen in ‘Wall Street’? 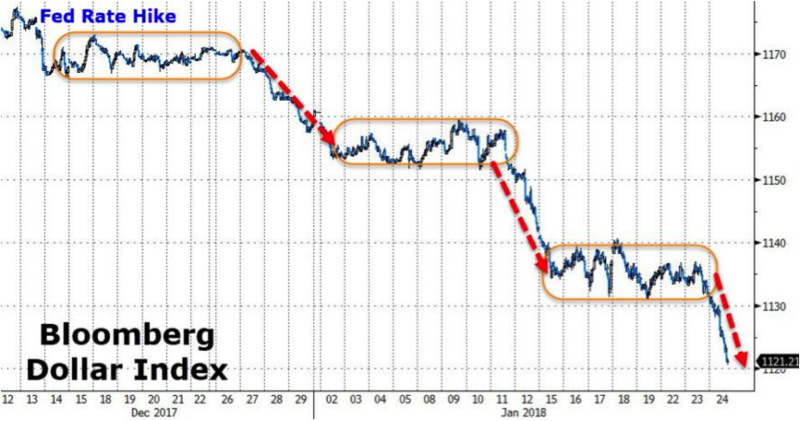 If not, you don’t remember the last time the dollar started a year performing as poorly as it is in 2018. 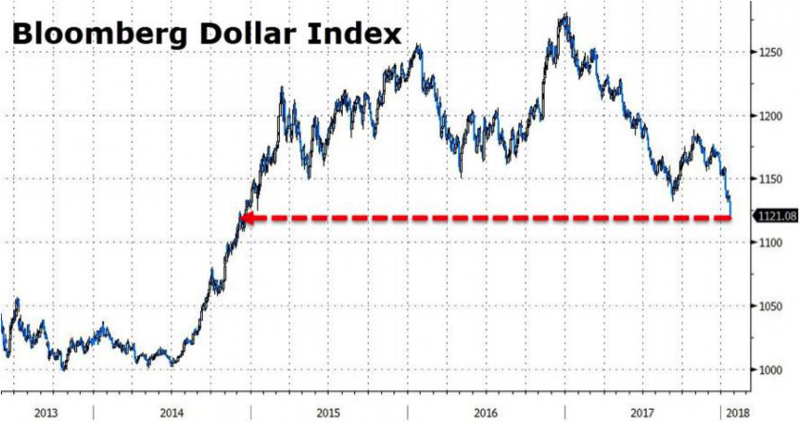 With US Treasury Secretary Steve Mnuchin openly touting a weak dollar’s benefit to the US economy, this new multi-year low may just be the first of many to come.